Hello world, today I get to kill two birds with one stone. Don't worry these are game birds I intent to eat them later. 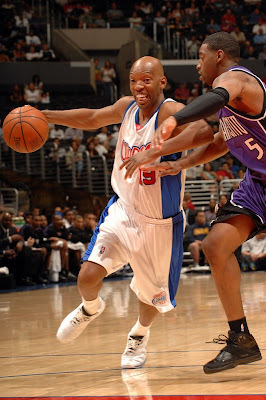 I've been meaning to post up some pictures of the Converse roster in action. Which works out really well today because I've been a real slacker and have put off all kinds of work until today. Something about backing myself into a corner that I just can't get over. Anyway lets just get right to it. I am not for sure, but most of the pictures they come from Yahoo sports. 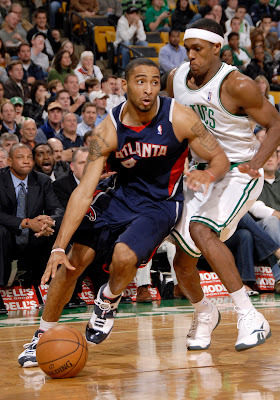 Below you see Hawks guard Acie Law IV moving past Rondo wearing a player exclusive 099 colorway in White/Navy/Red. 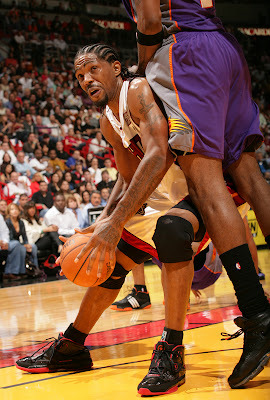 Below is a shot of Udonis Haslem probably after one of his offensive rebounds, wearing the Black/Red colorway of the 099. 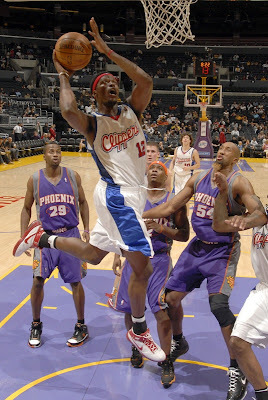 In the left side of this picture you will see Alando Tucker of the Suns, the rookie out of Wisconsin is rocking a player exclusive colorway of the 099. The colorway seems to be black/white/Purple/Orange. Let me just say I've seen some other colorways he's worn and I just love that Converse has a Suns player again. Below is Jameer Nelson wearing a player exclusive black/royal colorway of the 099. In this pic, Kirk Hinrich is guarding Andre Miler, both wearing the 099 in white/black/red and black/red colorways. 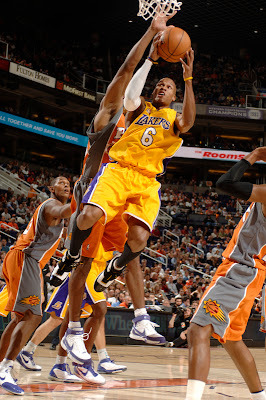 Maurice Evans of the Lakers is shown here wearing a player exclusive white/black/gold colorway of the 099. In the last shot here you will see Maurice Evans wearing a white/purple/gold colorway of the Hops, this will be the shoe everyone will wear starting in January. They had a big press release packet come out yesterday so I am going to raid that for content soon, but I had all of this pics saved so I thought I'd go ahead and get them out to you. Thanks for show up today, come back on Friday for some more Converse goodness.